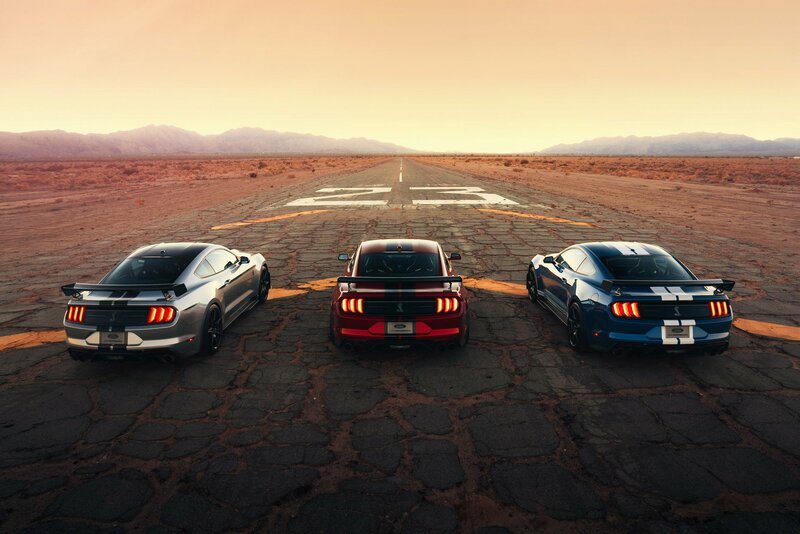 It’s official, the 2020 Ford Mustang Shelby GT500 is the most powerful yet, thanks to a supercharged 5.2L V8 that produces “over 700hp,” mated to a Tremec seven-speed dual-clutch automatic transmission, which sends power to the rear through a unique carbon fiber driveshaft. 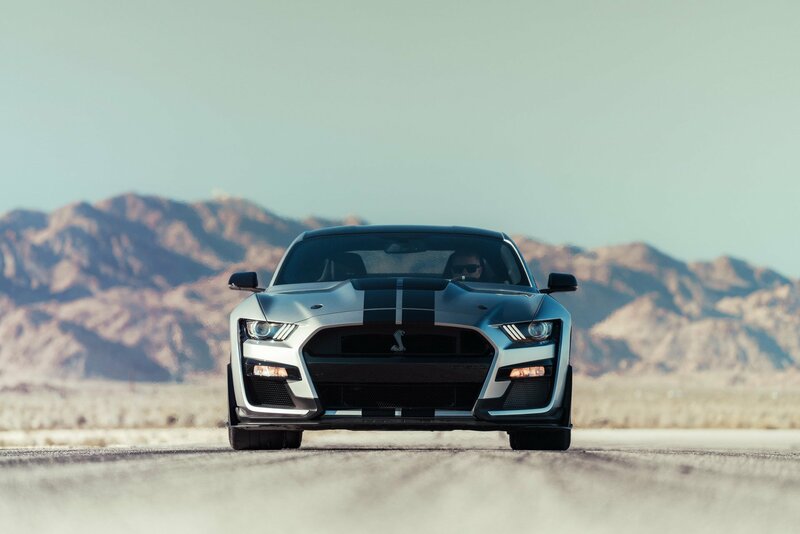 Ford claims the GT500 does 0 to 60 in the mid-three-second range and is “the quickest street-legal acceleration and most high-performance technology to date ever offered in a Ford Mustang,” according to the company. 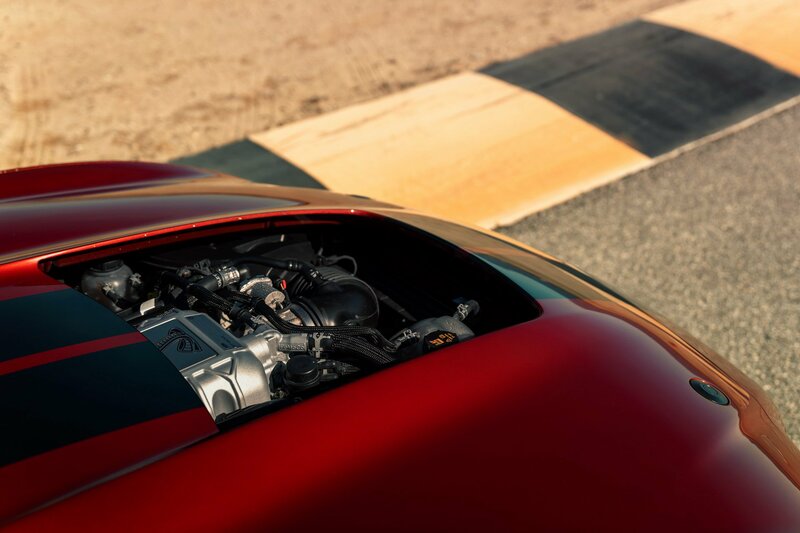 “A 350 was built for racing. This is going to be a great street car,” said company Chairman Bill Ford. Read more for another video, additional pictures and information. Buyers can select from two Mustang GT500 handling packages: a “Handling Package” that includes adjustable strut top mounts and a spoiler with Gurney flap or a “Carbon Fiber Track Package” that boasts staggered 20-inch carbon wheels wrapped in custom Michelin Pilot Sport Cup 2 rubber, an adjustable GT4 wing and splitter wickers with carbon fiber dive planes as well as a rear seat delete. 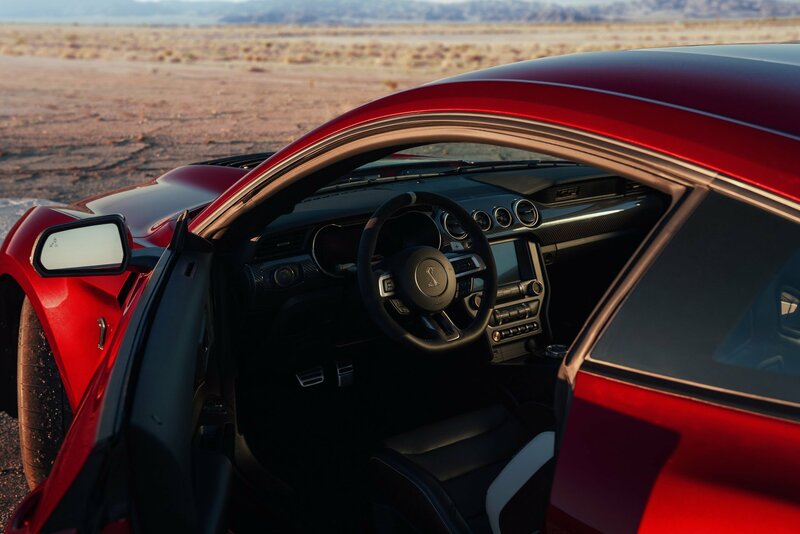 “The interior gets its own special touches, including the exposed carbon fiber instrument panel appliqué and new door panel inserts in dark suede with accent stitching. A set of Recaro racing seats is optional while Ford is also offering a more comfortable set of power-adjustable seats with suede inserts. 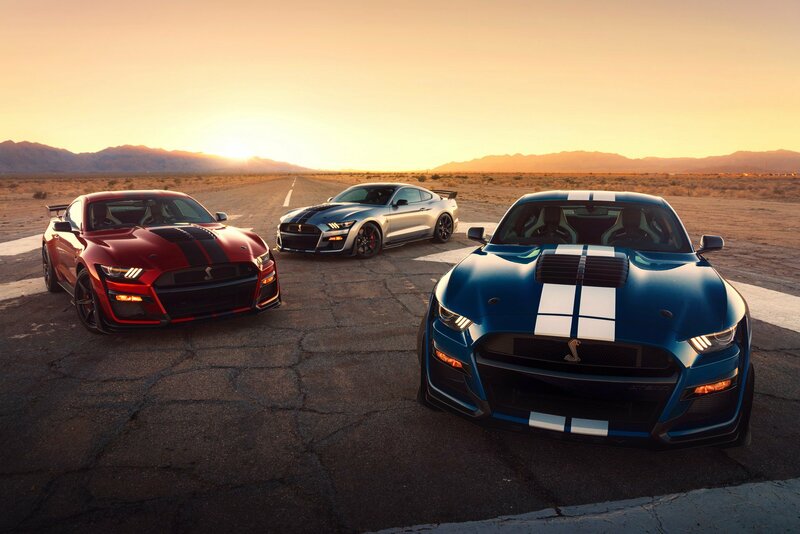 Sales of the new 2020 Ford Shelby Mustang GT500 will begin this fall, with Ford to reveal the final figures in the coming months,” reports Car Scoops.